We’ve all heard the buzz about AirPods - Apple’s newest wireless headphones. As one of the most popular gifts this past holiday season, AirPods have swept social media as ‘the next big thing’ in the music listening world. But all this hype - while great for Apple - may come at the expense of you exploring other models of wireless headphones that could be an even better fit for your lifestyle. Here at InMotion, we want our customers to make informed buying decisions and find the headphones that speak to them, which is why we’ve outlined some of the best wireless headphones on the market - all great competitors of AirPods - so you can make the best decision for your next headphone purchase. We’ve all heard about Apple’s newest headphones. Do they live up to the hype? The experts at InMotion say yes! Designed with rich, high-quality AAC audio, you’ll experience spectacular sound and streamlined connectivity to all your favorite Apple devices. Avoid the hassle of turning on your AirPods and linking them with your device with every use. As soon as you remove your AirPods from the charging case, they’re ready to go wherever you are. 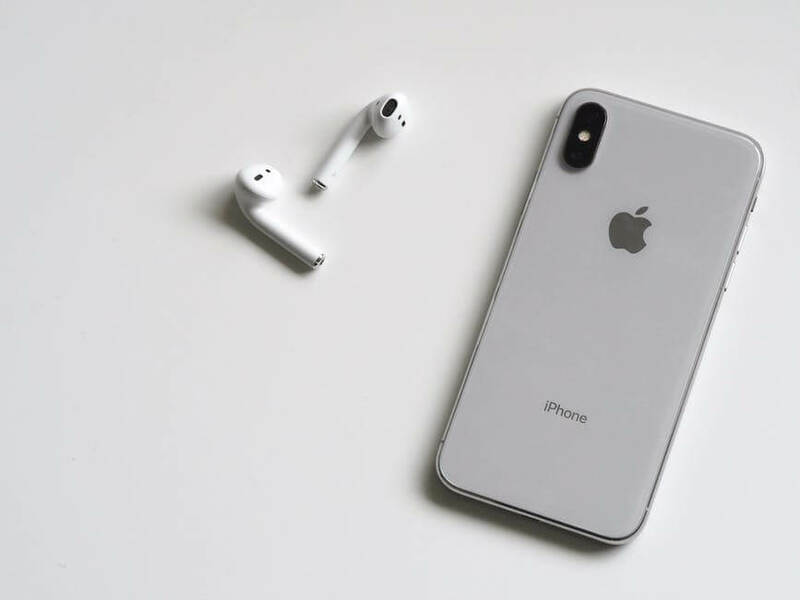 Apple AirPods feature a strong bluetooth connection brought to you by the Apple W1 Chip, which is engineered to maximize wireless efficiency and connections. Easily connect to Siri with a double tap and your voice will be effortlessly filtered through the built-in voice accelerometer for vocal clarity. With these features, AirPods area great choice for your wireless earbuds, especially if you’re a fan of Apple products. Wanna give them a try? InMotion is always available to let you try out AirPods in store. With so many incredible features, AirPods are difficult competition. What brand is always up for the challenge? Bose, of course. Bose throws their hat into the ring with the Bose SoundSport Free True Wireless Earbuds. Specifically designed for an active lifestyle, the Bose SoundSport True Wireless Headphones look to maximize quality sounds and freedom of motion with StayHear+ eartips and an over-ear fit. 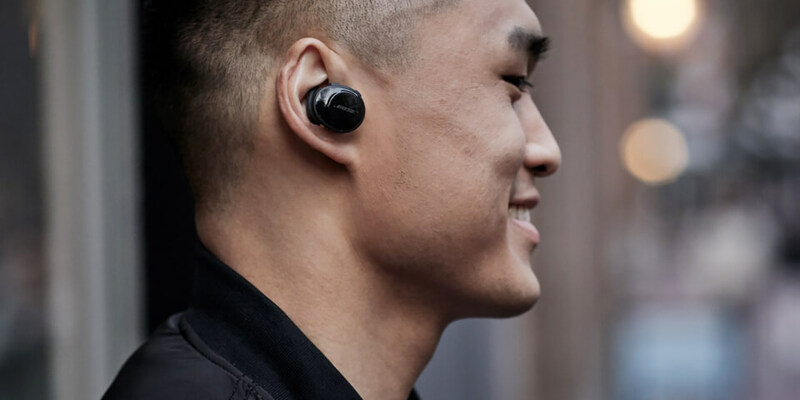 This stability combined with antennas and tuning circuits engineered for improved connectivity allows Bose to boast some of the best wireless earbuds for an active lifestyle. As another big name in the technology and listening world, Sony stuns users with their Wireless Noise-Canceling Headphones for Sports (WF-SP700N). The WF-SP700N headphones are equipped with both bluetooth and NFC connectivity capabilities and google assistant connectivity, ensuring that you stay connected no matter where your day takes you. In addition to the sound we know and love from Sony, the WFSP700N headphones come with EXTRA BASS™, providing listeners with the rich bass they’re left craving with wireless headphones. In addition to coming in four different sizes so you can find your perfect fit, Sony has created an Ambient Sound feature for safety and everyday life. 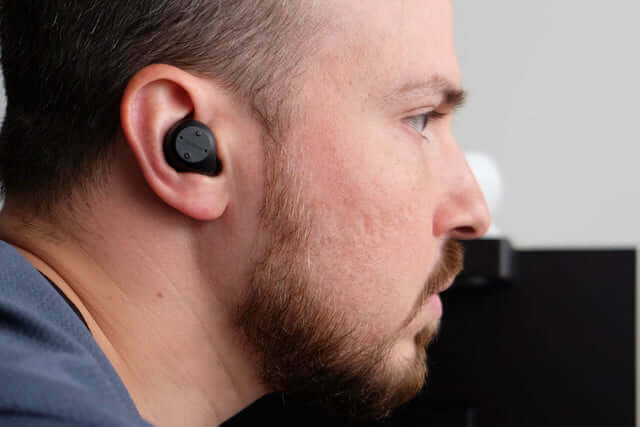 Ambient Sound can be activated with the touch of a button and turns your noise-canceling headphones into headphones that allow you to stay connected with the outside world. Designed with multiplicity and quality in mind, the Sony Wireless Noise-Canceling Headphones for Sports (WF-SP700N) are the headphones for the jack of all trades. Dressed to impress, Jabra competes for the title of best wireless earbuds on the market with the Jabra Elite Sport 2.0 True Wireless Earbuds. Created with spectacular sound and a secure, customizable fit, the Jabra Elite Sport 2.0 True Wireless Earbuds will stay tight and keep you motivated through whatever your busy day or workout throws at you. Each earbud bas two microphones inside that hear your voice and filter out outside noise, allowing for maximum call and voice-control clarity. Additionally, Jabra’s Hear Through technology can be enabled to allow awareness of your surroundings while still enjoying your favorite music. 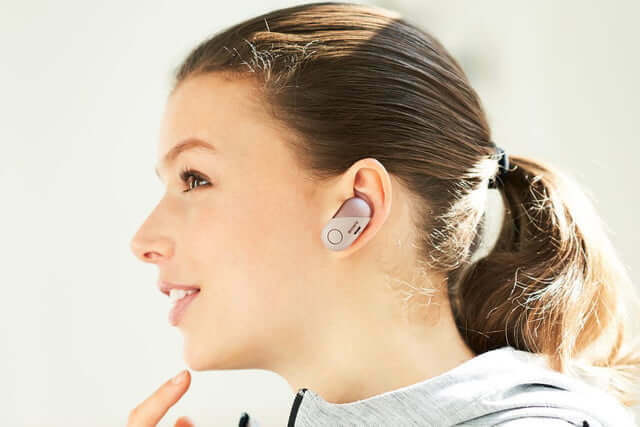 Most notably, the Jabra Elite Sport 2.0 True Wireless Earbuds turn into an in-ear fitness tracker with the Jabra Sport Life App, monitoring heart rate, reps, and more. With these great features, Jabra impresses coaches and athletes everywhere, placing itself a step above the rest for music fanatics in need of a fitness partner. So what do you think? Have an idea which wireless earbuds are best for you? If not, stop in at InMotion the next time you’re traveling. Our expert associates - whom you can reserve an appointment with if you’re in a rush - will provide you with free demos of your favorite products and provide knowledgeable insight into which headphones are best for you.